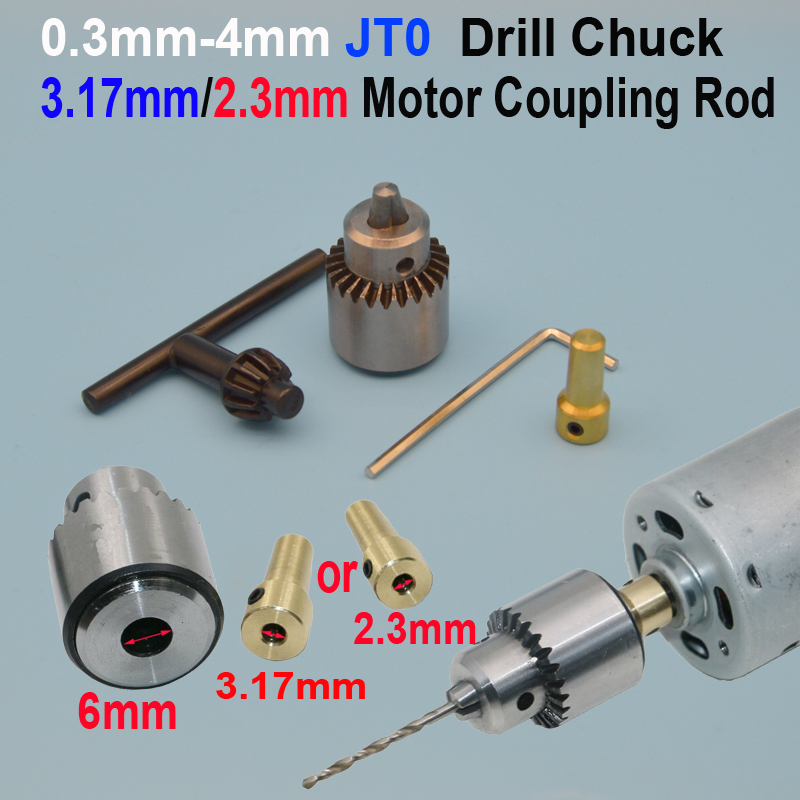 Drill Chuck Motor Shaft for 5mm Motor Shaft. for 0.3~4mm JT0 dirll clamp. 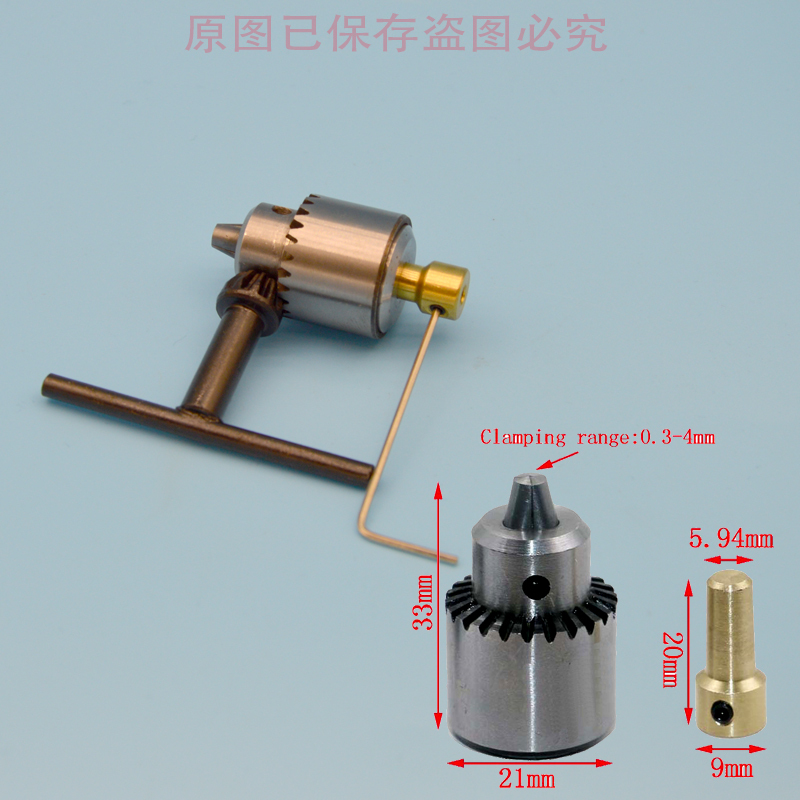 match the motor shaft Diameter:5mm. High precision screw thread and tapered hole. Compatible with impact dril and different power electric drill. Work with 0.3mm-4mm( 0.01" - 0.16") Drill,The maximum clamping 4.2mm.